Did you mean: creepy 1 2012 (1 items)? 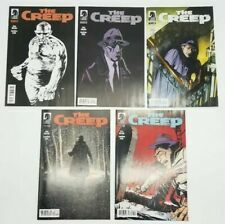 THE CREEP (2012) - # 0-4 COMPLETE SERIES (DARK HORSE) !!! MARVEL POINT ONE (2012) #1 KEY 1st SAM ALEXANDER Bradshaw VARIANT Ships FREE!